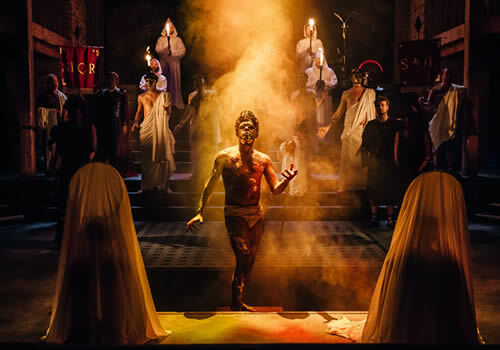 Mike Poulton’s adaptation of historical thriller Imperium transfers to the Gielgud Theatre for a strictly limited West End run, following an original season at the RSC in December 2017. 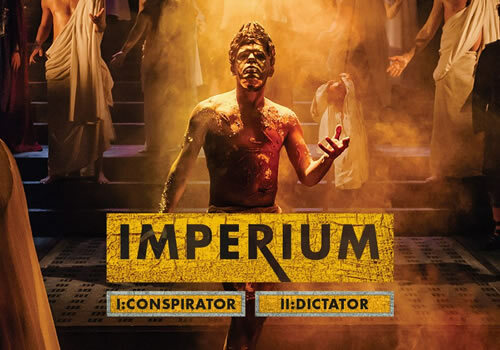 Imperium II: Dictator is the second part of six one-act plays, adapted from Robert Harris’ best-selling Cicero trilogy, alternating performances with Imperium I: Conspirator. 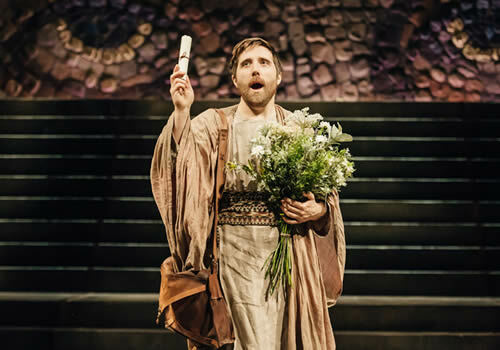 The productions collectively chart the downfall of the Republic of Rome, delving into the role of philosopher and rhetorician Cicero in the brutal murder of Julius Caesar. Imperium II: Dictator sees the great orator attempt to use his wits and brilliance to restore the power of the Senate before the civic mob and beloved Julius Caesar take over. Olivier and Tony Award-winning actor Richard McCabe leads the cast as Cicero, with Joseph Kloska as narrating servant Tiro. McCabe earned awards for his performance in The Audience and is well-known for starring in the BBC’s Collateral, whilst Kloska appears in Netflix’s The Crown. Further casting includes Nicholas Boulton, Guy Burgess, Daniel Burke, Jade Croot, Peter De Jersey, Joe Dixon, John Dougall, Michael Grady-Hall, Oliver Johnstone, Paul Kemp, Patrick Knowles, Hywel Morgan, David Nicolle, Siobhan Redmond, Patrick Romer, Christopher Saul, Eloise Secker and Simon Thorp. 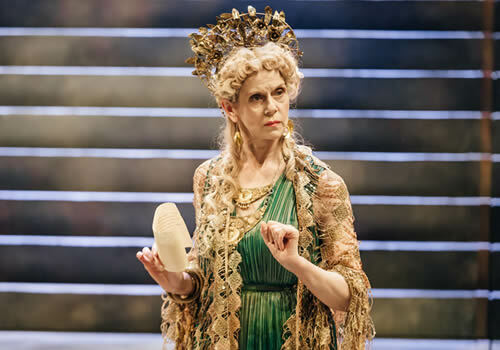 Artistic Director of the RSC Gregory Doran directs, with design by Anthony Ward, lighting design by Mark Henderson, sound design by Claire Windsor and music composed by Paul Englishby. Imperium is adapted for the stage by Mike Poulton, whose adaptations of Hilary Mantel’s best-selling novels Wolf Hall and Bring Up the Bodies ran in the West End in 2014. 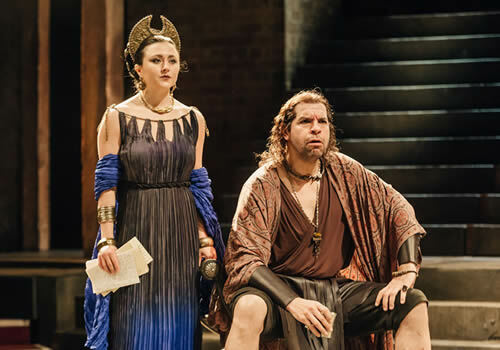 A thrilling new duo of plays, Imperium II: Dictator plays alongside Imperium I: Conspirator at the Gielgud Theatre for a strictly limited 12-week season. The second part runs from June 14th to September 8th 2018, with an official opening on June 30th 2018. Imperium II: Dictator is recommended for ages 12 and above. Under 3's are not permitted in the auditorium. Click here for the Gielgud Theatre seating chart and seat price guide.